The ubiquity of USB has made it one of the easiest ways to connect multiple devices. As such, recent embedded systems designs incorporate multiple USB devices on the same circuit board. This design can make debugging the USB communication between these devices more difficult than with a wired connection between external devices, but with the right connection, the Beagle USB analyzers can still monitor and display all the traffic in real-time. Read our Knowledge Base article to learn how to best analyze embedded USB traffic, taking into account signal integrity and managing power on the VBUS line. Learn how Total Phase analyzers for USB 2.0 and 3.0 can jumpstart your development and debugging processes today! It’s been a busy Q3 trade show season for Total Phase and October was no exception. Together with our distributor in Taiwan, Eagletek, Total Phase exhibited at Taitronics in Taipei, Taiwan. Similar to the Intel Developer Forum in September, there was a large exhibit area devoted to IoT and how it integrates with homes, workplaces and production facilities. From M2M, to IoT, to the cloud, Total Phase solutions connect legacy systems, with real-time control, and provide access to the cloud, even for applications that weren't initially intended to share their data. 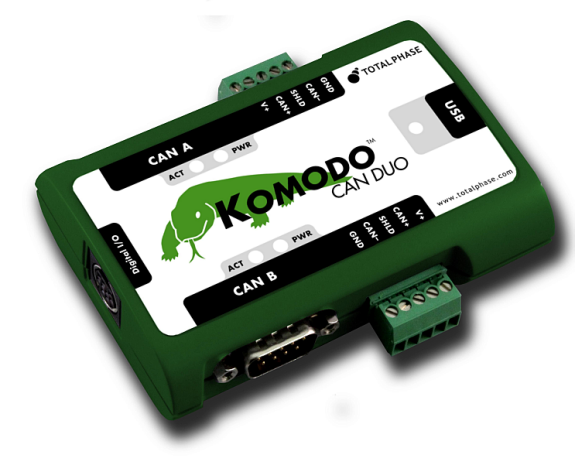 Total Phase has offered the Komodo CAN interfaces for several years now and has established itself as a leader in the CAN embedded systems arena. There are a number of implementation success stories, one of particular note is a recent CAN application implementation by Galixsys Networks. Galixsys is using the Komodo interface to connect with a smart network that monitors passenger bus data and broadcasts that data using wireless protocols such as WiFi and 3G. 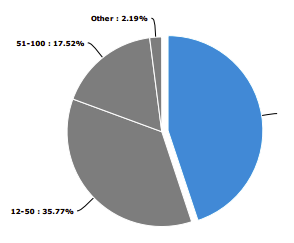 Would you like to learn more about this Galixsys project or how the Total Phase Komodo interfaces can help you with your CAN project? Request a demo and we would be happy to learn about your project and provide ideas on how Total Phase may be able to save you time and help increase your productivity. where a bug exists in your code. © 2014 Total Phase, Inc. All rights reserved.